Itai??i? ?s been less than a year since the celebrated artist Yusuf Arakkal left this world. But his memory remains alive through his work. Incidentally, this weekend, Yusufai??i? 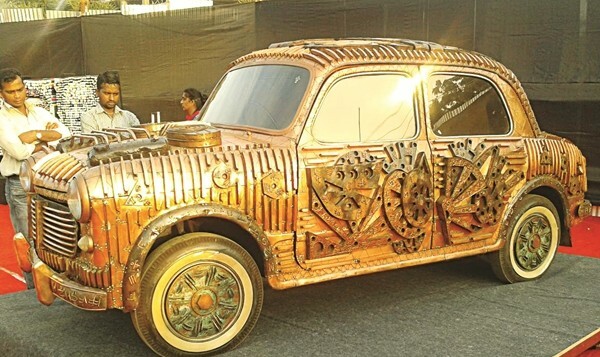 ?s iconic 56 Fiat Millicento car that was transformed to a sparkling copper sculpture by the late artist, will be showcased at VR Bengaluru as part of the Whitefield Art Collective ai??i?? a two-day art event that pays a special tribute to the man. ai?? ?This is the second edition of the collective. 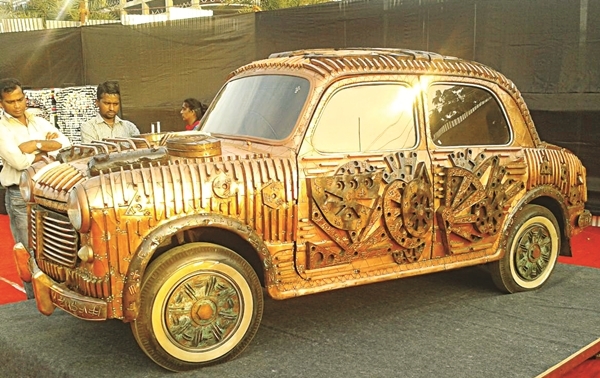 While we were discussing what we wanted to showcase, we thought of Yusuf Arakkal. It would be unthinkable to do an art fest without paying a tribute to him,ai??? says Sumi Gupta, director, international marketing and product development at Virtuous Retail South Asia. Apart from Yusufai??i? ?s works, well-known artists George Martin PJ and Murali Cheeroth will be displaying their works too. ai???Weai??i? ?ve also invited graduates and students from MSU Baroda, Kala Bhavan Shantiniketan and Cholamandal Artistsai??i?? Village to showcase their work,ai??? says Sumi. Additionally, the award-winning film Gaali Beeja will be screened at this two-day art fest. Plus, Whitefield residents get a chance to be creative as there will be a pop-up art bazaar and an art competition for children. February 24-25. At VR Bengaluru, Whitefield.